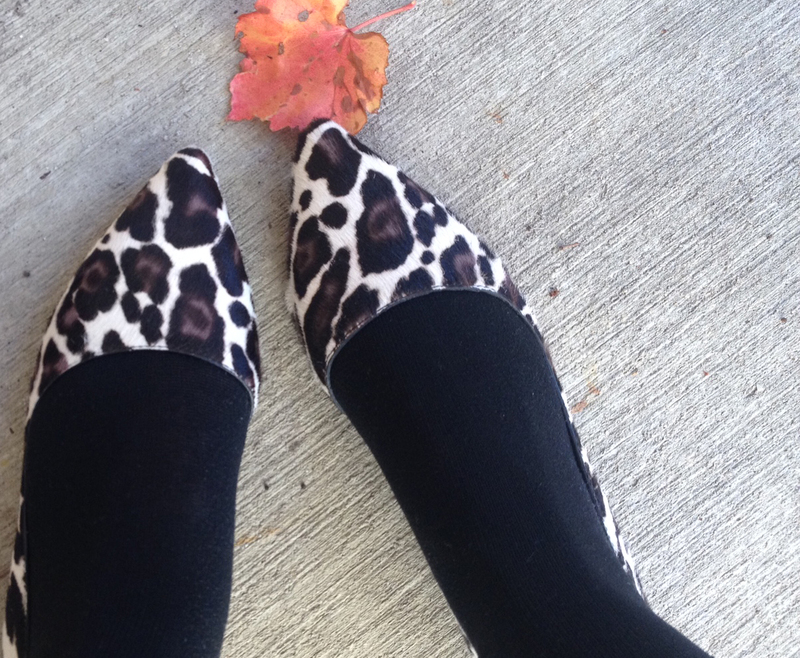 I have an infatuation with a few things; chai lattes, my husband and leather…& of course cashmere. Today we will focus on leather (although while writing this post I am sipping a chai latte and wearing a cashmere sweater). 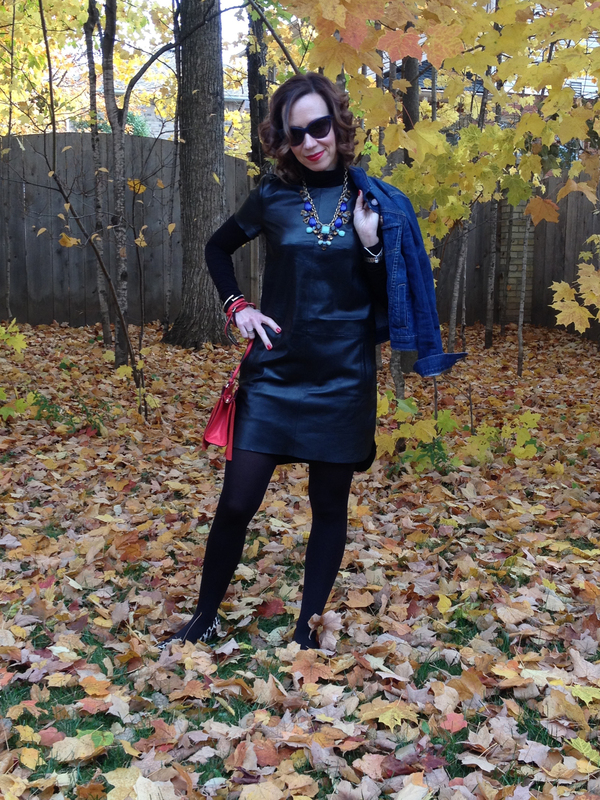 This leather tee dress from Banana Republic is such a modern way to wear leather! Why make the investment? It is luxe but also versatile and stands the test of time, if you spend the extra money on genuine leather it will be in your closet for years. I paired this short sleeved dress with a lightweight turtleneck and opaque tights for a streamlined silhouette. I wanted a casual vibe so my Gap jean jacket, Sigerson Morrison leopard flats and Kate Spade fringe crossbody all fit the bill. For a dressed up look I would swap my tights for fishnets, my flats for patent pumps and my jean jacket for a statement blazer. 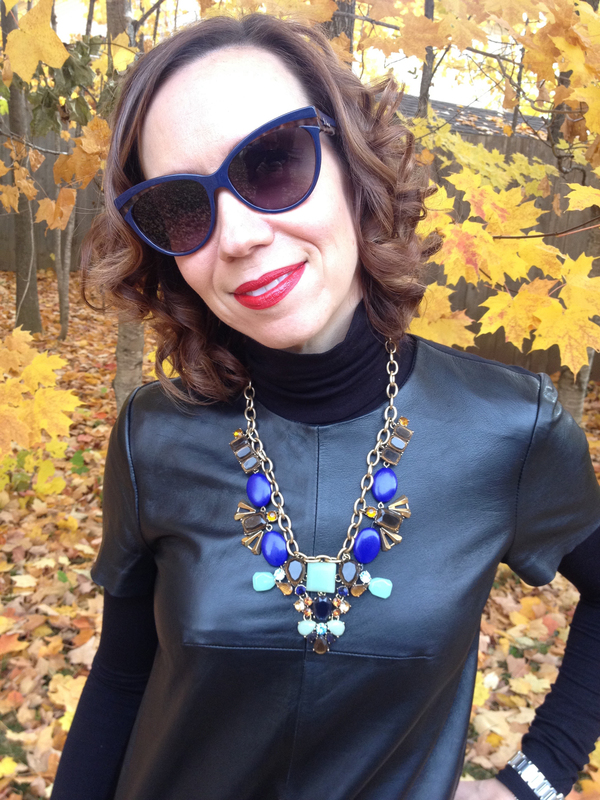 I love this J Crew necklace, it kicks any outfit up a notch! And of course my Dior sunglasses, they are my obsession…I feel incognito when I wear them (but mostly they hide the bags under my eyes). What are your favourite leather pieces? I also have a taupe shell, black leggings, a black sheath dress and numerous jackets. Maybe we will find it on Saturday!